Sorry, Monday... but I'm too busy to come to your day. What Monday doesn't realize is that Glogirly and I are poring over all the Real Housecat audition photos. We're planning the big announcement of the season 2 AND season 3 casts! I know, I know... you're on pins and needles. Well try, just try, not to think about it. Act indifferent. Take a nap. Our friend and Minnesota neighbor Scooby, from Little Cat Feet, left very unexpectedly for the Rainbow Bridge over the weekend. Our hearts go out to his family. You can visit them HERE. We are the same way about the other six days, too! Say, you two aren't actually "pouring" on the admissions are you? They'll get wet that way! OMC! I hope I wasn't supposed to re-audition. *Paces floor with paws over head* 5 mor days until our paper comes out. Yep, Monday happens fur sure! Monday is just gonna have to learn to wait! I´m so sad about Scooby! We feel like that every morning! We are very sad about Scooby. I am so sads about Scooby and I put his dear picture on my blog. Oh dear - such exciting news followed by such sad news. So sorry about your friend. 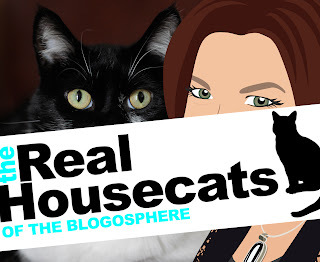 But I can't wait to see the next Chapter of The Real Housecats! Excitement and sadness all together today! Well, we have fun too ;) Have fun picking the casts! We were also shocked to hear about Scooby! He has been in the CB for so long it is hard to imagine him not being here. I was so shocked and sad when I learned the terrible news about Scooby. Yep Mondays can be a bummer. I'm sure you and Glogirly have your work cut out for you with the auditions! We are very sorry about Scooby. Mondays are meant to be spent in bed! Well, so are most days ending in "y". HaHaMeow! Me HATES Monday! Me never gots out of bed 'til noon and me is way behind on visiting! Me is glad yous is looking at all the pictures. The Human hates Mondays. I don't care one way or the other, to tell you the truth. MOL! Can´t wait to see season 2 and season 3 cat´s ! 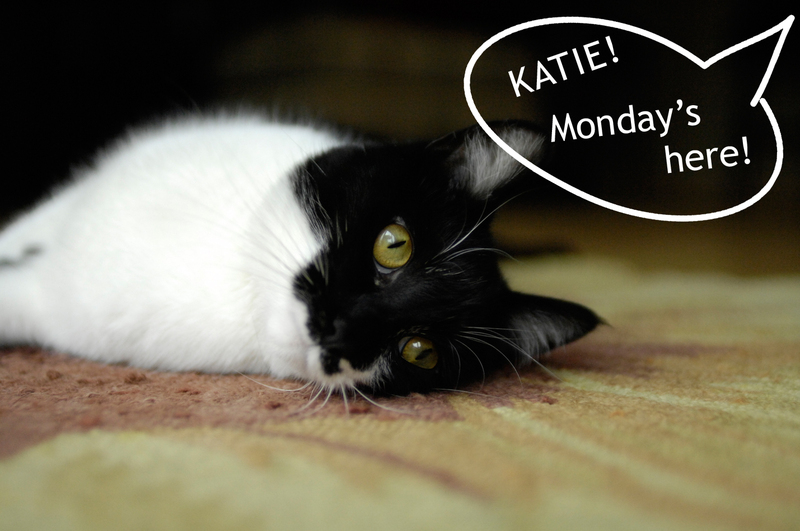 Awwww, Katie, Monday feels so bad you don't like it! How can you be so mean to a poor little day that can't help where it is placed in the week?? Maybe if you tell it about RHoB it will feel better! Thank you Katie & Glogirly for posting this lovely tribute to Scooby. 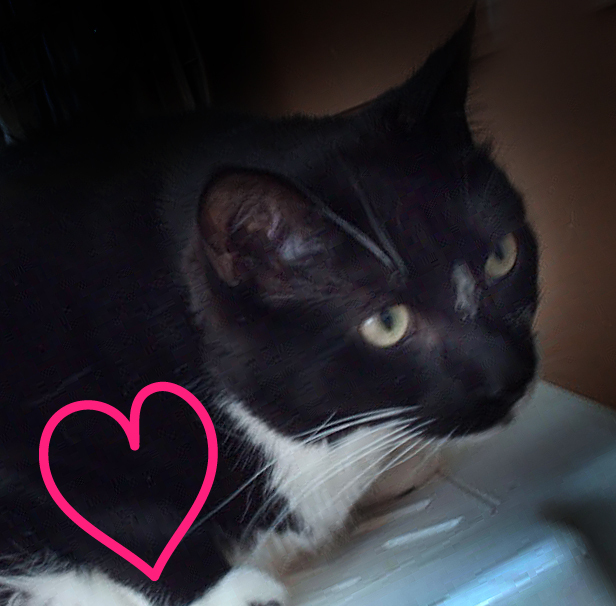 He was a gentle precious little soul and I miss him deeply.